With over 60 years’ experience in the design and manufacture of critical electronic equipment in its "World Class" facility, Behlman is a key resource for precision COTS Commercial Off The Shelf power supplies. 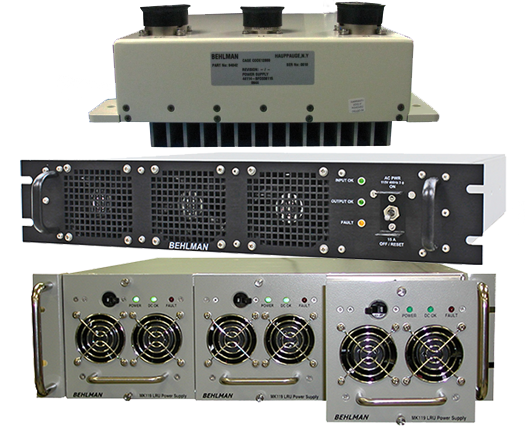 Behlman produces COTS power supplies for mission-critical military, industrial and commercial applications. Innovative engineering skills allow Behlman to tailor its wide range of designs to specific customer requirements. Behlman can produce new designs, build-to-print, Form-Fit-Function replacement and modernize old or obsolete power supplies. Behlman can reduce your cost and shorten delivery by using COTS power supplies.